Ancient Greek. 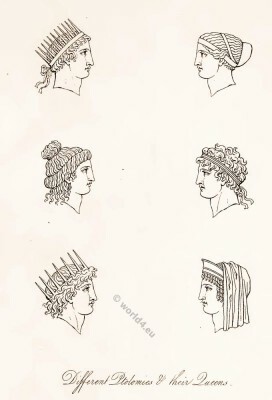 Ptolemaic‬ headdresses and crowns of Ptolomies and their Queens. Successors of Alexander the Great. Final dynasty of Egyptian pharaohs.